Only in Scotland could you find somewhere like the Crispie Estate, where 120 acres of pristine coast and ancient forests are yours for the duration of your stay. 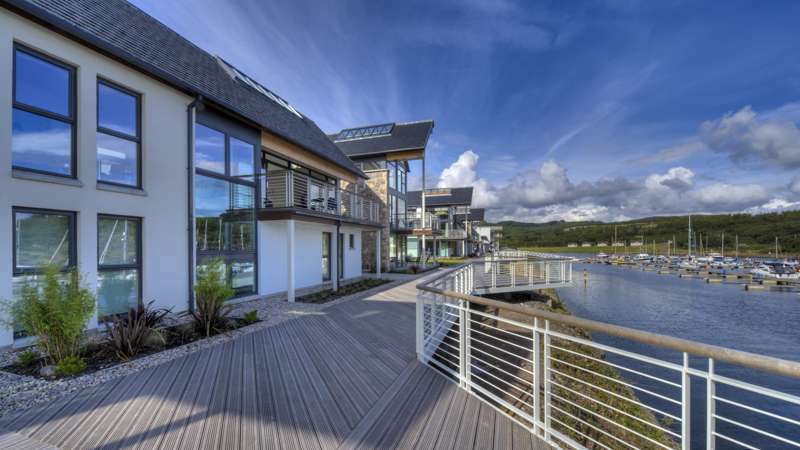 It's only a couple of hours' drive from Glasgow, yet is a stunning location: you can sail, walk, cycle, kayak, swim or just explore the place on foot, and there is even a motor boat moored in the bay for guests' exclusive use *as per RYA certificate requirements. There are two places to stay on the Estate – historic Crispie House, which sleeps sixteen, and Crispie Lodge, a smaller, more contemporary affair which can accommodate eight people. You're neighbours then, but you won't be popping around the for a cup of sugar – indeed both properties enjoy the use of their own private grounds and their own private beach, and are so well-equipped and the location is so beautiful that you won't need to pop out for anything much. Crispie House has an indoor swimming pool and games room while Crispie Lodge features a fabulous hot tub. Just turn up, and throw away the car keys... and tune out. Dogs are welcome at Crispie House. Crispie House is the perfect venue for a large group of family or friends celebrating a special occasion or who just want to get away from it all in the Scottish Highlands, a lovely rambling old place which sleeps 16 people in seven bedrooms. There's a large sitting room and dining room, an indoor heated swimming pool and a games room. It's light-filled and spacious in summer, while roaring open fires, lounging sofas and cosy rugs are the perfect antidote when the weather turns cold. At any time of year the views across the loch to the Mull of Kintyre are stunning, while outside the lawn sweeps directly down to the beach. Otherwise amble through the woods, fish, swim or cycle – or just relax and enjoy the views. The much more modern Crispie Lodge (it was only completed in 1999) is quite different to the main house: smaller, and very contemporary – a light and spacious wood-framed structure with 4 bedrooms that comfortably sleep 8 people. 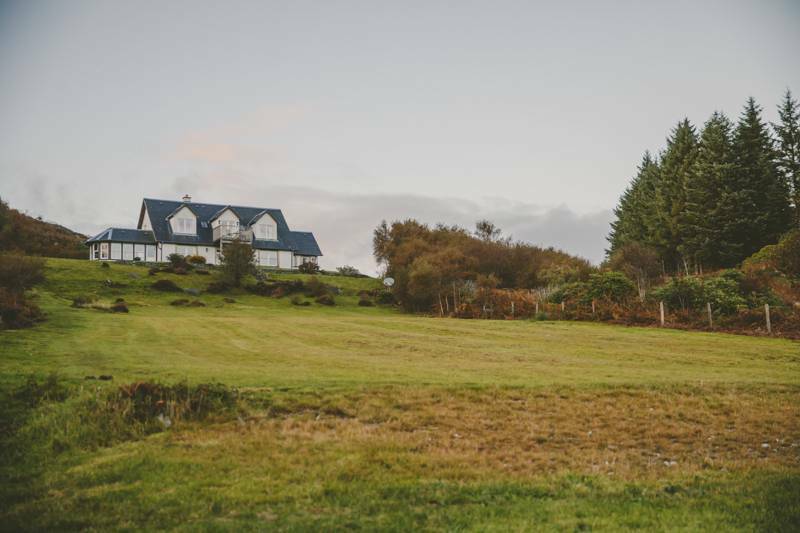 It sits up high above the shore of the loch and boasts magnificent uninterrupted views over Loch Fyne, across to Mull of Kintyre and down to Arran. 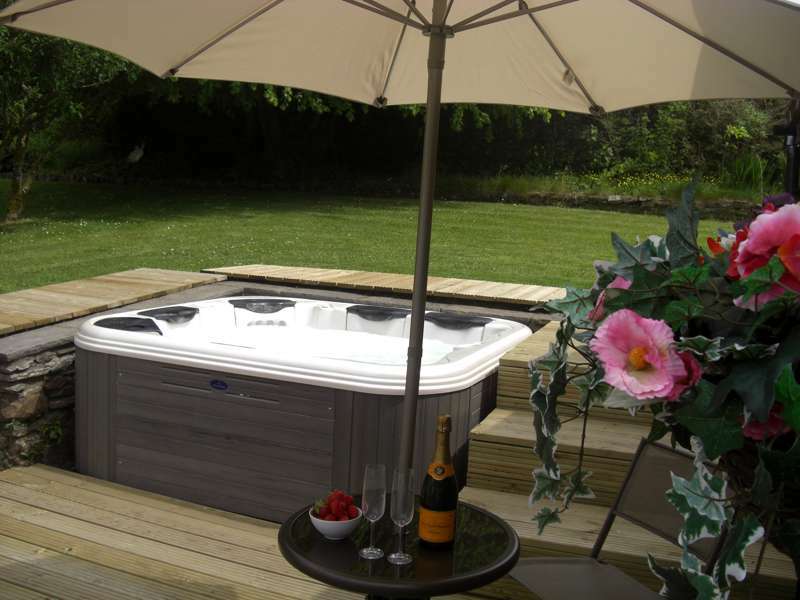 Watch the sunset from the terrace or take in the panoramic views from the fabulous indoor hot tub. Again, the private grounds of the lodge lead down to the beach, where you can enjoy a BBQ or a driftwood fire with just the seals and seabirds for company. As for things to do beyond the estate, more active guests can can explore the nearby waters in the estate's own speedboat, or learn to sail than the nearby Tighnabruaich Sailing Club. 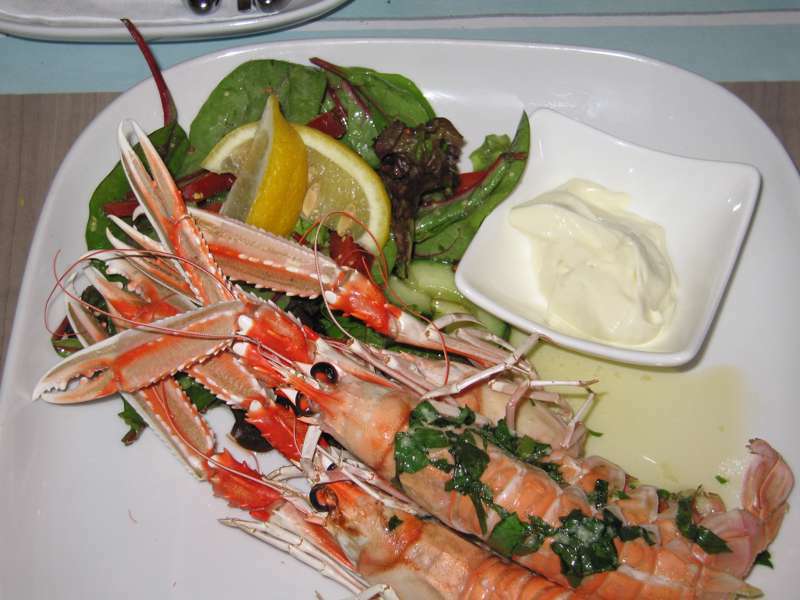 You could play golf at the Kyles of Bute club, while the nearest village, Kilfinan, is only 5 miles away plus there are lots of places to eat in Tighnabruaich – try the Botanica Restaurant. However it's not every day you get to spend time on your private country estate, so we wouldn't blame you for staying put. Crispie Estate is nestled on the shores of Loch Fyne, each property boasts its own private beach and bay. Found down a wee track, Crispie is the perfect place to escape the daily bustles of a city life, whilst also being perfectly situated for those seeking adventures. The house has an indoor swimming pool, sauna and games room- there's enough to do here without the need to venture far. The lodge features an indoor hot tub which has unbeatable views down the Loch, onto the Isle of Arran. There really is no better place to relax. Each house has access to its own boat too (subject to a member of each party having sufficient qualifications), there is no charge- you simply provide your own fuel and away you go. Tarbert is frequently visited for a day trip, where you can moor up for the day, free of charge! Or, you can make friends with the local seals who live just around the corner. The possibilities are endless. Each property is different to the other, so it's difficult to say what I love the most. On a clear day, you can sit on the balcony of the ' Love Birds' room in the lodge and see the Isle of Arran in such detail and watch sailing boats go by, all whilst sipping on your coffee. From the house, you can sit back and see right into Tarbert and keep an eye on the kids in the swimming pool at the same time. There isn't a better place to forget about emails and reconnect with nature than Crispie Estate, it's just so peaceful. The local area boasts amazing restaurants, fantastic walks and wonderfully kind people. There's so many different places to eat, you could dine out every day and never go to the same place twice. 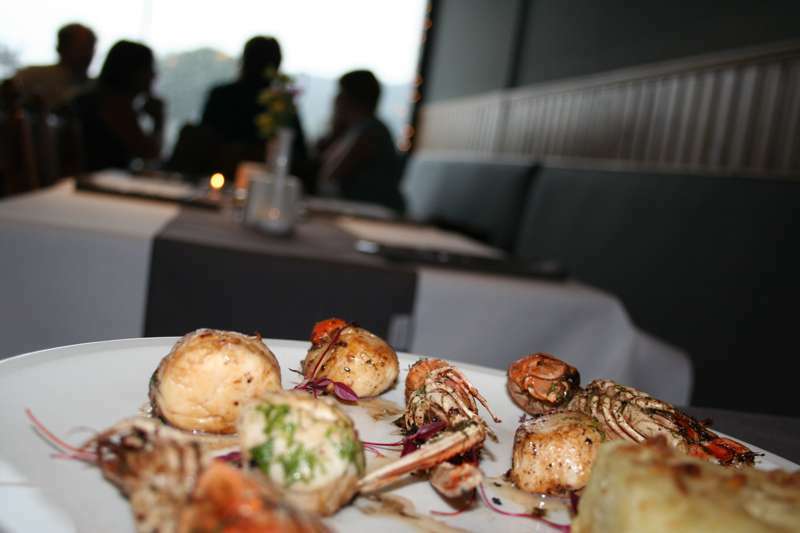 The food is all exceptionally cooked with such a variety of different options too. In Scotland there is a right to roam, so really you could go anywhere, but, we're right on Argyll's Secret Coast where there are plenty of signposted, planned walks. The most popular route is the 'Cowal Way' route which starts at Portavadie (two bays down from Crispie) and finishes on the shores of Loch Lomond- you don't have to walk all of it! Then there's the locals, they're great! As Tighnabruaich is such a small place, it has a really lovely community. Everyone helps anyone and if there's something you need, someone is bound to have it. 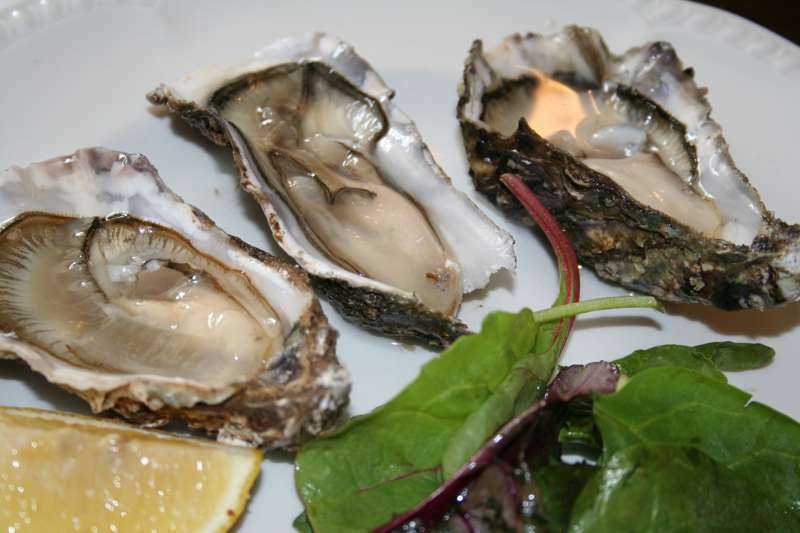 The Oystercatcher is our favourite restaurant because it's as close to the beach as Crispie is and you can eat outside whilst the wee ones run free- it is also dog friendly which is important for our guests staying in the house. Their menu is always varied and their chef is really good! Then there's Botanica, an exceptional restaurant in the heart of the village. Chef Michal forages his own ingredients and uses the freshest, local seafood- plus he has just installed a pizza oven! Each house has a purpose built BBQ which is mostly used after a day of fishing on Loch Fyne with once-a-chef Estate Manager, Andy. He loves to help our guests filet their fish and get the most out of their catches. Crispie House has 7 Bedrooms , 4 Bathrooms and sleeps 16; Crispie Lodge has 4 bedrooms, 4 bathrooms and sleeps 8. House Rentals: Prices range from £2,500-£4,000 for a week long stay. Lodge Rentals: Prices range from £900-£1750 for a week long stay.